Contract 6♦. Lead ♥10, you played the jack, which won the trick. 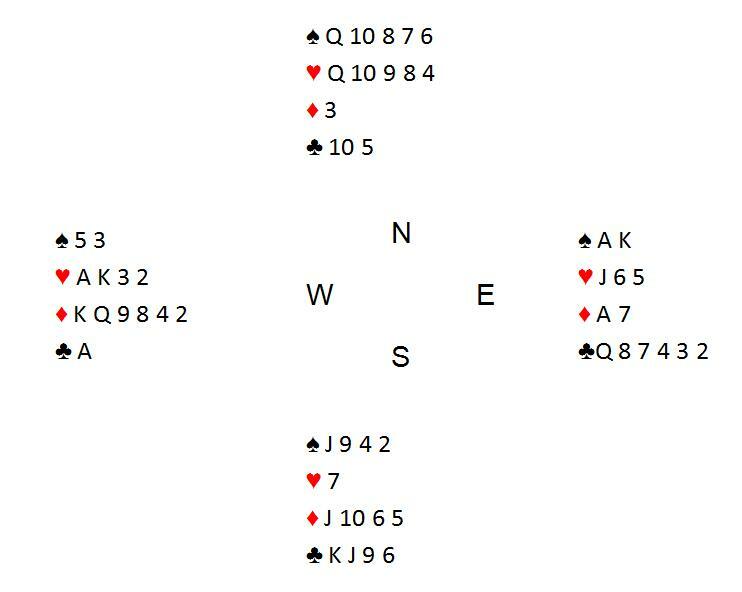 The main point – If you ruff the fourth round of hearts, maybe South will overruff from a four-card trump holding. 2. Ace of diamonds, small safety play against a singleton diamondwith South. 3. A heart to the ace. 4. A spade to the king. 5. A heart to the king, if South ruffs, then we draw trumps. Contract 3NT: +430 for EW. Correct play: +920 = +10 IMP. Down one: –50 = –10 IMP.